Are You Looking For Macon Landscaping Company Today? 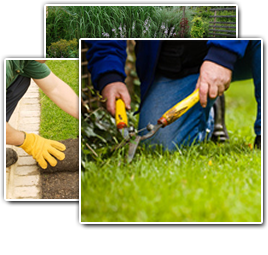 We offer FREE estimates for all of our landscaping services in Macon. Our experts strive to deliver unmatched results with the finished project. SS Grading is determined to provide premium quality work - always! We have customer service that is second to none in the Macon area. We've been doing this now for 10 years throughout Macon. When searching for a company to clear your individual lot or acreage project, look no further than Macon. We are state licensed and insured and have over 10 years experience in residential and commercial Macon land clearing projects. As a Land Clearing Contractor, SS Grading has completed clearing projects for individual custom home builders, residential developers, commercial builders, corporations, and utilities companies. SS Grading offers complete solutions including: Land Clearing, Debris Removal, and Hauling Services for all your project's needs. We are focused on the successful completion of your Residential or Commercial, Land Clearing Project. Macon brick pavers will give you that beautiful curb appeal that you have been looking for. Brick pavers are tough, and are able to withstand heavy loads, especially if you use interlocking pavers. The interlocking pavers have the ability to spread heavy weight better than concrete of asphalt. Typically Macon concrete pavers have a compressive strength of eight thousand psi or more. There thickness can vary from 1 inch to 2 3/8. For your driveway, we recommend that the 2 3/8 pavers are used. You will be able to park your car, truck, motor home, or boat without any worries, the brick pavers will not crack, break or displace under the heavy loads. If you're looking for a professional Macon landscaper, then please call us today at 804-464-8456 or complete our online request form.